The Kangra region in Himachal Pradesh has become synonymous with Dharamshala-McLeodganj of late. However, this region has much more to offer beyond that. Dharamshala surely is a delightful place but has become too popular, making the streets choke with people and prices soar. It is still possible to enjoy them if you know where to find good deals for your stay. It has great options for those who just want to eat, sleep, party, and relax. But for those who are looking to do more, I am putting together this guide to help you enjoy Kangra better. As a budget traveller I still prefer to keep searching for means to save money, and get discounts. My usual penchant for extreme budget accommodations and public transport is known to the regular readers. Of late I have been using Cashkaro which gives me cahsbacks for almost all sorts of purchases under the sun. Unlike other sites, I actually get the cash in my account rather than as coupons and so I can spend them on local homestays that you will find in the places mentioned below. What exactly are the things to do in Kangra Region? How does one reach and travel around Kangra? What is the best season to visit Kangra? Kangra offers great views of the outer Himalayas, or to be precise the Dhauladhar Mountains. As expected, it is a great area for trekking. These areas are not very challenging in terms of altitude so these treks can be great for beginners. 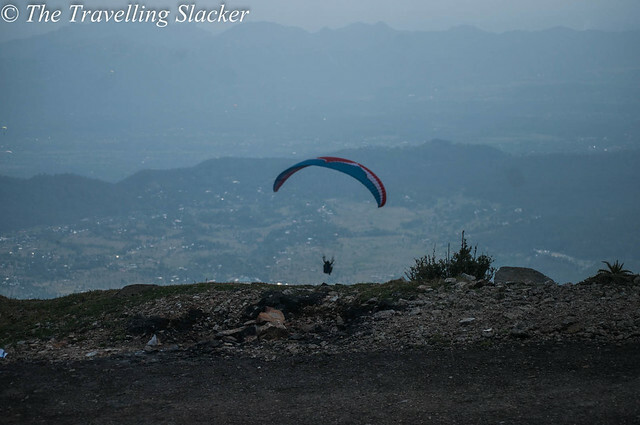 If you are looking for more adventure activities, you can consider paragliding in Bir-Billing. Kangra also has a special place for the lovers of art and culture. The potter’s village in Andretta comes to mind when someone mentions this and also many inner villages are now exploring more modern art forms. However, the Kangra has a long history with miniature paintings. The Kangra school of miniature paintings is one of the primary schools of Pahari Miniature Paintings. Also, as you might know already, Tibetan Buddhist exiles have a great presence in the region. Dalai Lama himself resides in McLeodganj and the Tibetan government in exile operates from there too. Apart from Dharamshala, Bir also has a significant Tibetan population. Another attraction here is the Kangra Tea, which has its own unique flavour just like its counterparts in Assam, Darjeeling, and Nilgiri teas. 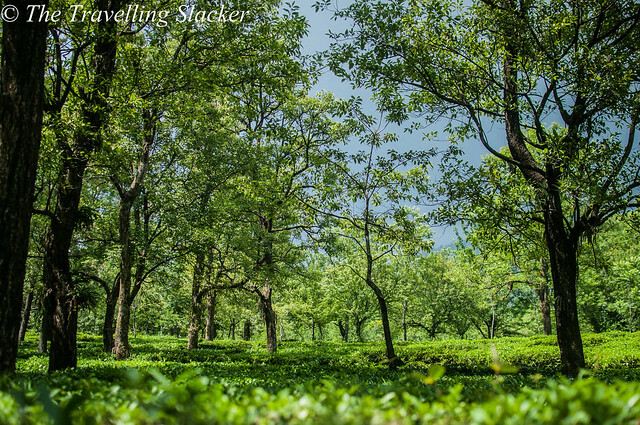 If you enjoy walking around the lush green tea plantations, reach Palampur. Kangra train is the least known mountain railway line in India. They start from Pathankot and takes you to Palampur and Jogindernagar. Authorities are now pushing it to make it a UNESCO heritage property just like its other cousins in Shimla and Darjeeling. It moves slowly and you cannot book tickets online for these ones. But the views you get are worth the trouble. Palampur is a nice little town with nice views, colonial bungalows, and lush green tea gardens. The next three destinations are not very far from here. So, you can use it as a base to explore them one by one. Baijnath has an ancient Shiva temple dating back to 13th century. It is a beautiful structure that deserves a visit by all heritage lovers. Baijnath is located on the main road connecting Kangra to Mandi district an dthe temple is visible from teh road itself and looks epic with the bakcdrop of snowcapped peaks. Andretta is a small village but it was developed in the 1920s as an artist’s colony by Irish theater artist and environmentalist Norah Richards. Now you can consider learning some pottery or just explore the artistic heritage of the village. Kangra town lends the name to the entire district. The town itself was never a huge tourist attraction. Most people just pass through it but a visit to the majestic Kangra Fort is worth the time. Masroor Rock Cut Temple Complex costs of a series of monolithic temples. One can call it the Ellora of the Himalayas in that sense but strangely not many people know of it. You will have to set aside a day for it as it needs a diversion from the main route leading towards Dharamsala. The Pong Dam has been built over Maharana Pratap Sagar, a large reservoir that has now become a destination for watersports. It is ideal for swimming, water-skiing, surfing, kayaking, canoeing, sailing etc. A lot of water birds also flock the reservoir, especially in the winter. It is around 78 Kms from Dharamshala. Jogindernagar is another small town, which is the last station for the Kangra toy train. It is also the point from where you get buses to Barot valley. You can explore a few small trails here, the most famous being the Trek to the Winch Camp, the highest point in this area that takes you to the controlling station of the Haulage Trolley that connects the area to Barot. Garli-Pragpur are a couple of heritage villages located near to each other and around 70 KMs from Palampur. They are primarily known for their heritage buildings from the 18th and 19th century. They may remind someone of Rajasthan rather than Himachal but that is what makes this place special. You can also pay a visit to the nearby Dadasiba temples, which is famous for murals. Return to your heritage homestay in the evening and relax. The delightful Barot Valley can be reached easily from Jogindernagar, which is the last station of the Kangra Railway. It is a high altitude valley located along the hilly river of the same name. It is divided equally between the Kangra and Kullu district. It has so many delights to offer that I will have to write a separate guide for it someday. Till then you can enjoy my Barot pictures from last summer in this post. It is a small village that can be reached after a 16 KMs hike from Billing top. 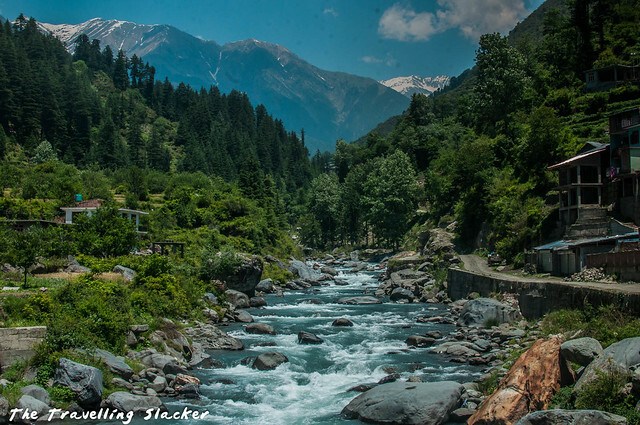 It is located on the edge of Chota Bhanga area, which is connected to Barot Valley on the other side. 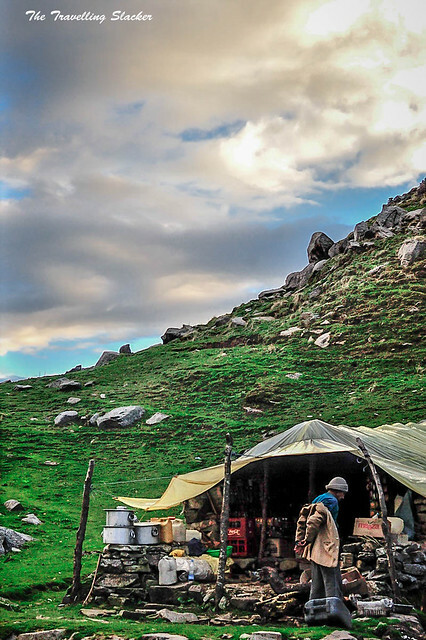 It is one of the lesser known trekking trails in the state that eventually takes you closer to Bara Bhangal, one of the remotest villages in the country. The Triund Trek is the best-known beginners trek in the region. You can do Triund in a day from McLeodganj or spend the night up there. Tents, food, blankets, and other amenities will be offered by shopkeepers at the top. Going upwards to Indrahara Pass takes more effort, and probably a guide and supplies as you will have to spend a night in the caves en route. You can either come back after topping the pass or cross over to the other side, i.e. the Chamba district. The complete thing will take around 4 days. I have done Triund twice but failed to reach Indrahara due to various issues. In the past, I have written both about the standalone Triund Trek and the unsuccessful Indrahara trek. 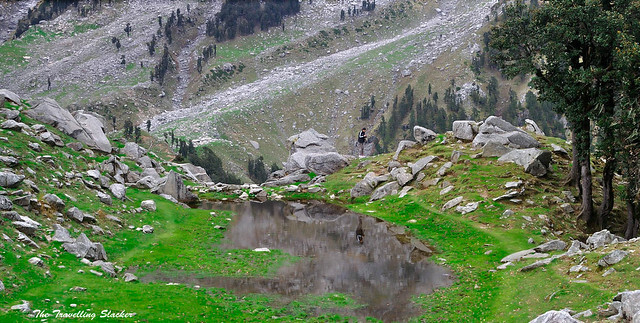 Another good trek that can be done in the region is the Kareri Lake trek that can be done n 2-3 days from Dharamsala. I personally have not done it so don’t have any photographs as yet. The Barot valley also has numerous small favourite around it. It is also possible to cross over to the Kullu side from here through dense mountainous forests. Watch out for Dan Sar (Dehnasar) Lake Trek & Sari Pass trek. However, these are not very well-marked routes and you will do well to get a local guide to do the same. The nearest major train station is Pathankot, which is well-connected to Delhi. From there you get buses to all major towns in Kangra. As mentioned already, you can surely enjoy the delights of the mountain railway in this region at very negligible costs. Otherwise, they are pretty well connected with the HRTC buses and roads are good enough if you have your own vehicle. For those who are in a hurry, the airport is at Gaggal near Kangra town, which is also the airport for Dharamshala & Kangra. It is well connected with Delhi. Kangra can be visited throughout the year. My personal favorite is the post monsoon months but this only my preference. If you love snow, then January and February are the months. Summers are full of colours but be a bit careful in the monsoons as things might get slippery. Such wonderful natural landscape! I have only heard about this place once from a friend of mine who went to Dharamshala to learn more about Buddhism. Never thought it would be this beautiful! Thank you so much for sharing and I definitely need to check out this region soon! I’ve been around there long back. The colors look magnificent! Beautiful pictures! I never heard of this place but it looks amazing! Will have to add this on the list! I did the Triud trek long back in 2012 . It was one great experience till date. Its a detailed post and quite useful for people who are not familiar about the valley beyond Dharamshala . 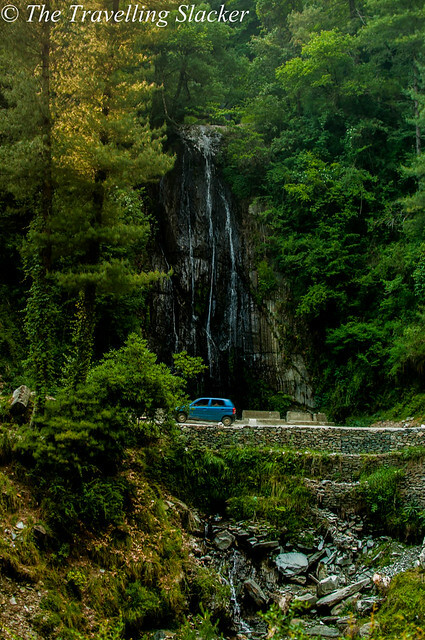 I’ve never heard of Kangra but your pictures are gorgeous! What a beautiful place to visit. I’ve never heard of Kangra but definitely I need to put this place on my list! Those photos are incredible! kangra is as beautiful as any Himachal village… Next time Kangra will be on my list. Thanks for sharing the info.. Fantastic post Jita, and the photographs are really beautiful! This is going to be a very helpful post for prospective travellers. Incredible post, really got me wanting to travel here. Maybe one day (hopefully).